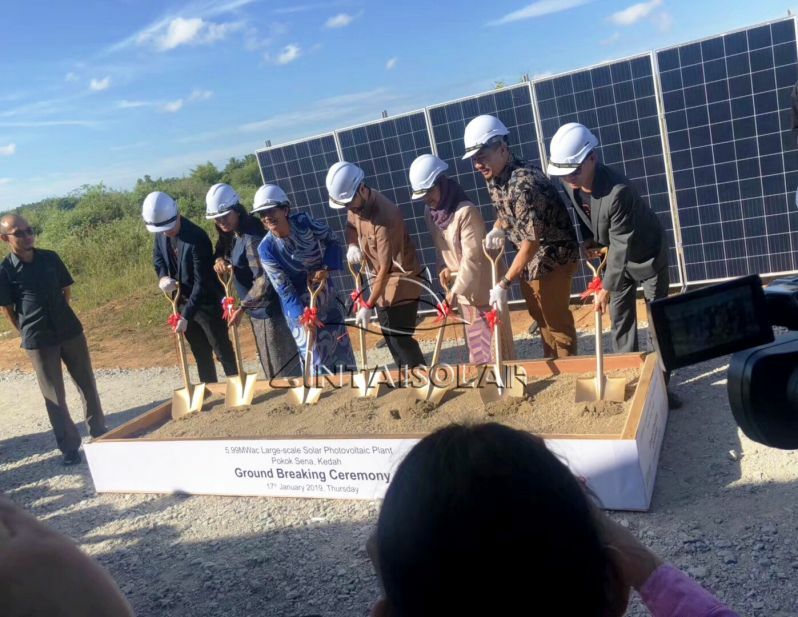 Recently, Jasmine Huang, the president of Antaisolar, was invited to participate in the ground breaking ceremony of the 9MW ground PV project in Kedah, Malaysia. 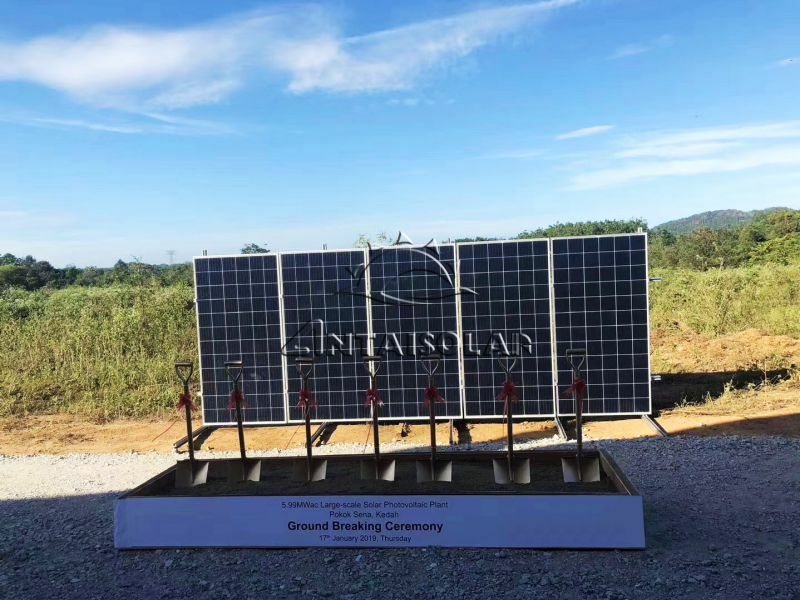 This project is the first large-scale solar ground project that Antaisolar provided solar racking solution since its efforts in Malaysia. 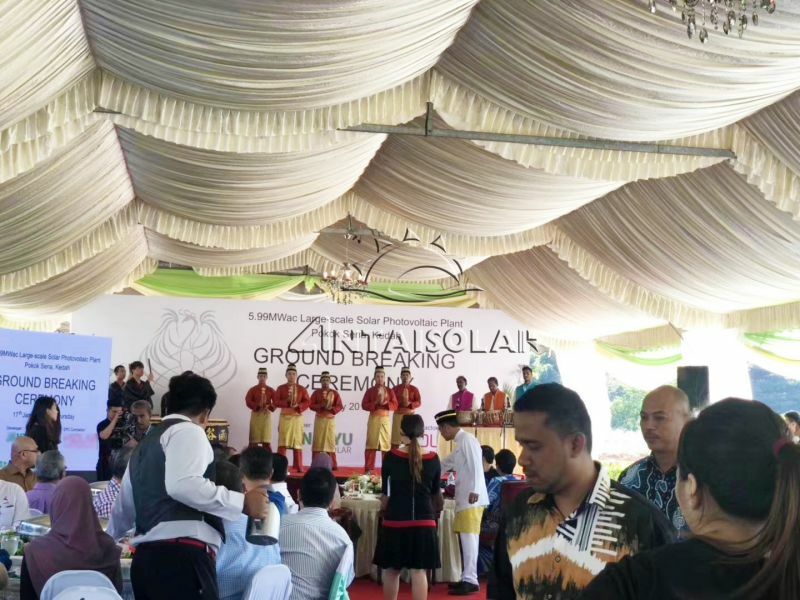 Previously, Antaisolar has supported many local projects in Malaysia for different scale, the large one this time still chooses Antaisolar, indicating the recognition and trust from the partners. PV mounting structure for the project. Although PV ranks the best-developed sector in the renewable energy domain in Malaysia, aluminum ground mounting system haven’t been popular in the Malay market. In this project, Antaisolar Aluminum solar mounting system stood out among the competitors, which proved that Antaisolar possesses unique advantages. As an outstanding enterprise in aluminum solar racking systems, Antaisolar will keep blooming in Japan, Australia, South Korea, Brazil, Southeast Asia and other parts of the world. It is expected that aluminum production capacity would increase by 30% in 2019 compared to 2018, helping everyone enjoy the vision of clean electricity.